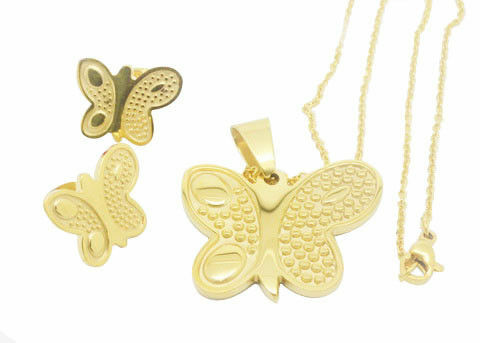 Punk romantic cute butterfiles earrings and pendant with handcuff stainless steel necklace set for women. This Jewelry set is very suitable for children. Material: 304 Stainless steel or 316 stainless steel or titanium, it’s up to your desire.